New Cabinet Door TVs for Kitchen! 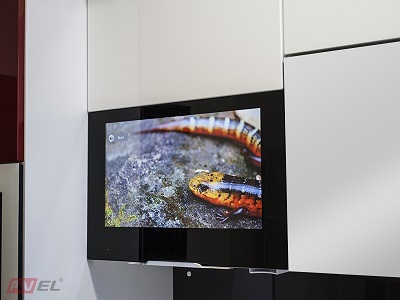 We are proud to represent expanded line of Cabinet Door TVs for Kitchen. New TVs are already available for orders on our website in the Kitchen TVs section. Compact model of TV AVS220W (with 21.5" screen) and standard model of TV AVS240K (with 23.8" screen) are suitable for installation in any standard 600mm wide cabinet. TVs is equipped with vibration invisible speakers. There are 2 versions of the TV tuner available for both models: DVB-T/T2/C/S2 Digital Tuner for Europe, UK, Russia, AU, Middle East etc. and Analogue NTSC/PAL/SECAM that can be used worldwide (USA, Japan, Europe, UK, Africa etc. ).